In line with the LGCDP-II program document to achieve the intended results of output 2 in the areas of Accountability, a 3-day Capacity Building Refresher Training was Conducted for the Civil Society Organizations (CSOs) in Western Region. 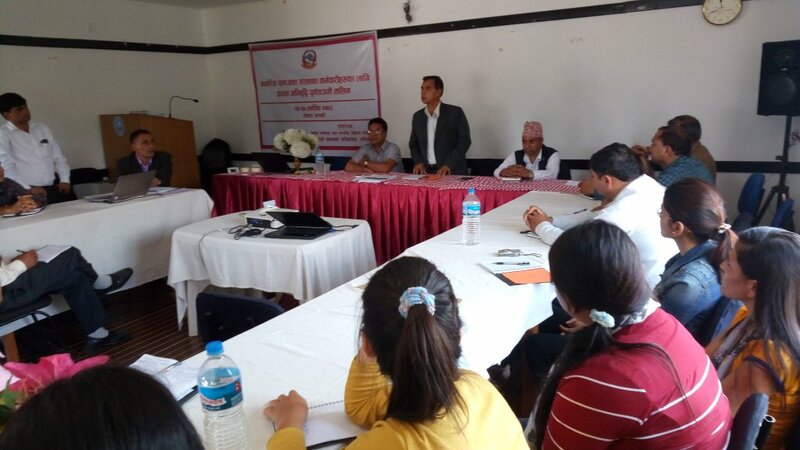 The training was organized, facilitated and managed by LGAF Secretariat Lalitpur and RCU Pokhara. Its main aim was to orient CSOs personnel to gain more knowledge on the process of Compliance Monitoring of Local Bodies and strengthen an overall Social Accountability in the areas of service delivery and development works. The event was organized from 21-23 October 2016 in Pokhara. Altogether, 34 participants from 9 districts’ CSOs participated in the training. The contents of training were accountability tools, techniques and information about formulated Acts, policies, guidelines and directives; compliance monitoring indicators and its implementation processes were also included. 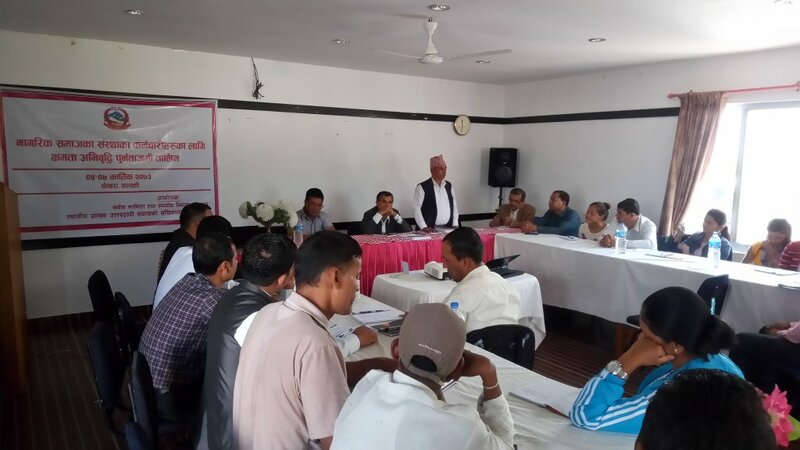 LGAF Member Secretary emphasized on the importance of third party monitoring role in such a transitional phase of local governance system while the h Local Development Officer, Kaski wished for a successful event. Moreover, he highlighted on the effective content delivery of program activities to achieve program objectives. Likewise, LGCDP, RCU Coordinator briefly highlighted on LGCDP’s outputs and its interrelation, and importance.